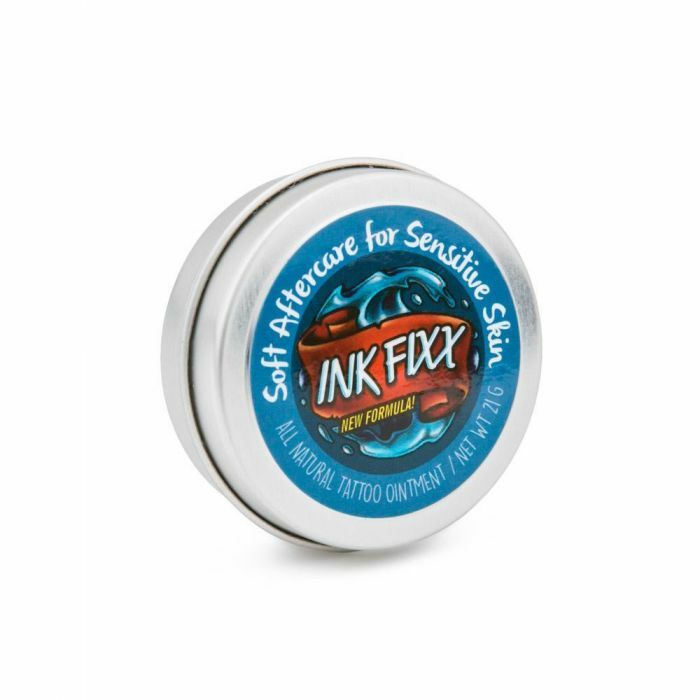 Developed by experts in the tattoo industry along with dermatologists, Ink Fixx Tattoo Ointment provides a natural way to help your tattoo heal. Ink Fixx uses beeswax as a base along with a mix of vitamins and minerals to rejuvenate the skin cells naturally. Ink Fixx also contains cocoa butter to moisturize the skin and grape seed extract to reduce inflammation. This listing is for one 21g jar of Ink Fixx.